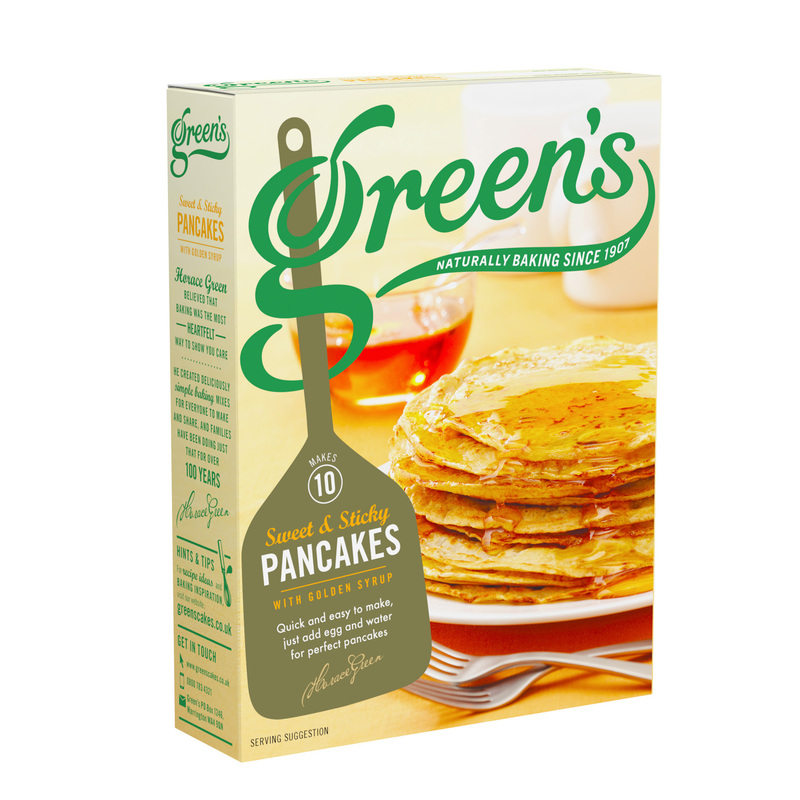 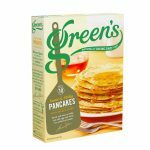 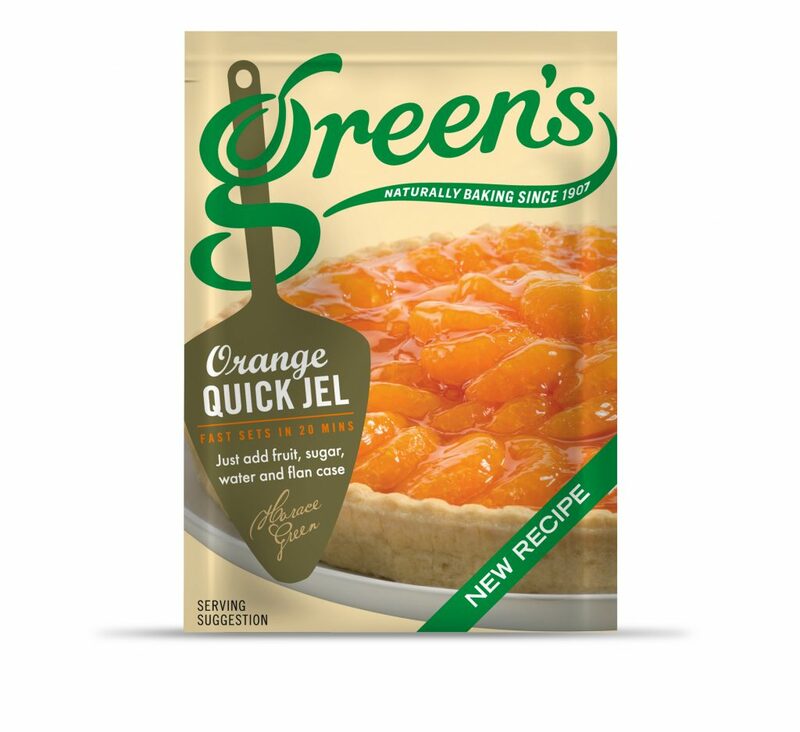 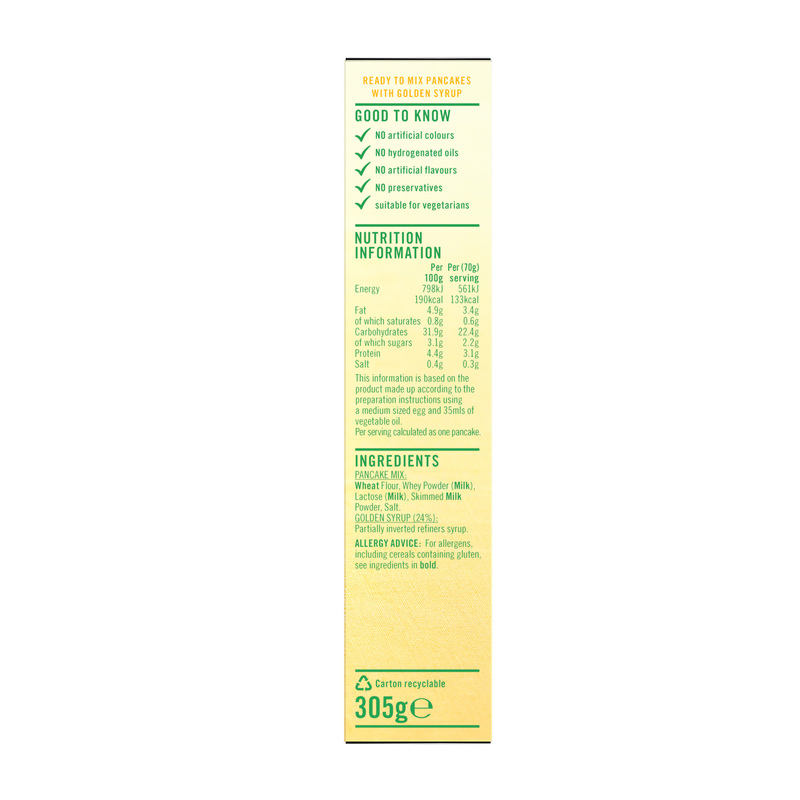 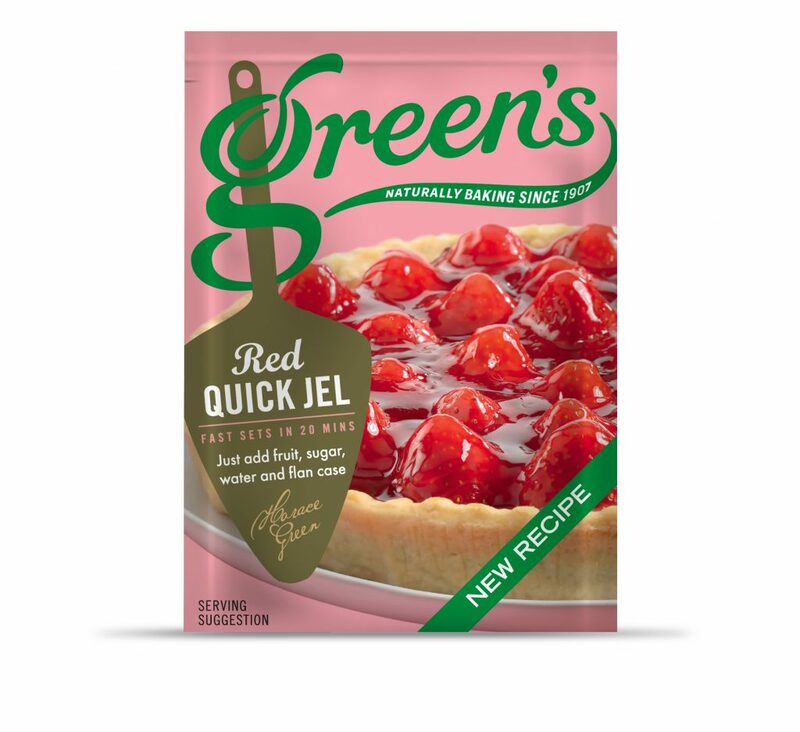 Go for pancake gold with Green’s Golden Syrup Pancakes! 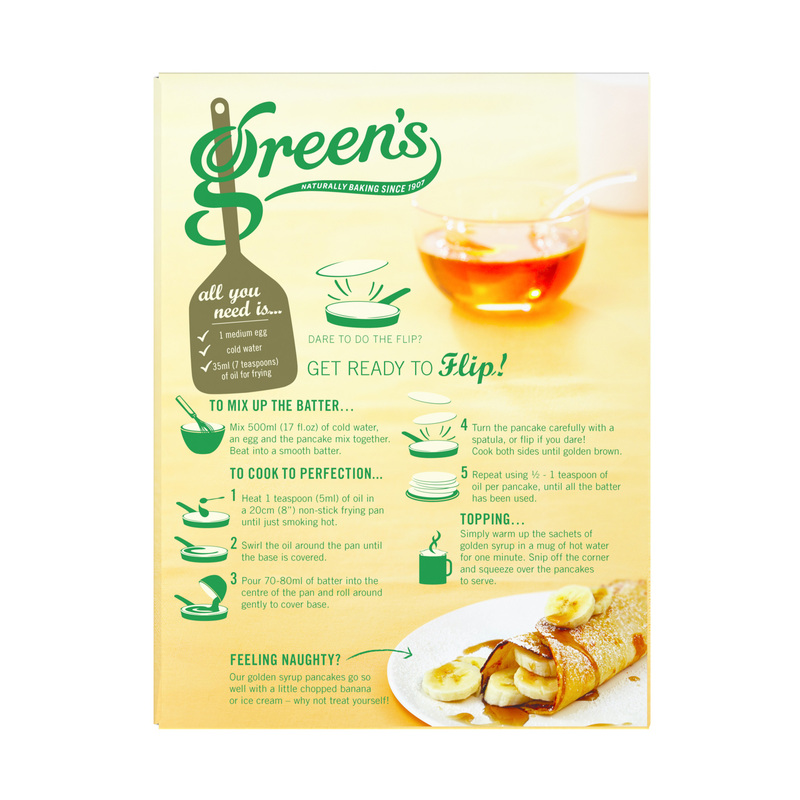 Achieve pancake perfection every time then drizzle your mouth-watering pancakes with scrumptious golden syrup for the ultimate sweet sensation! 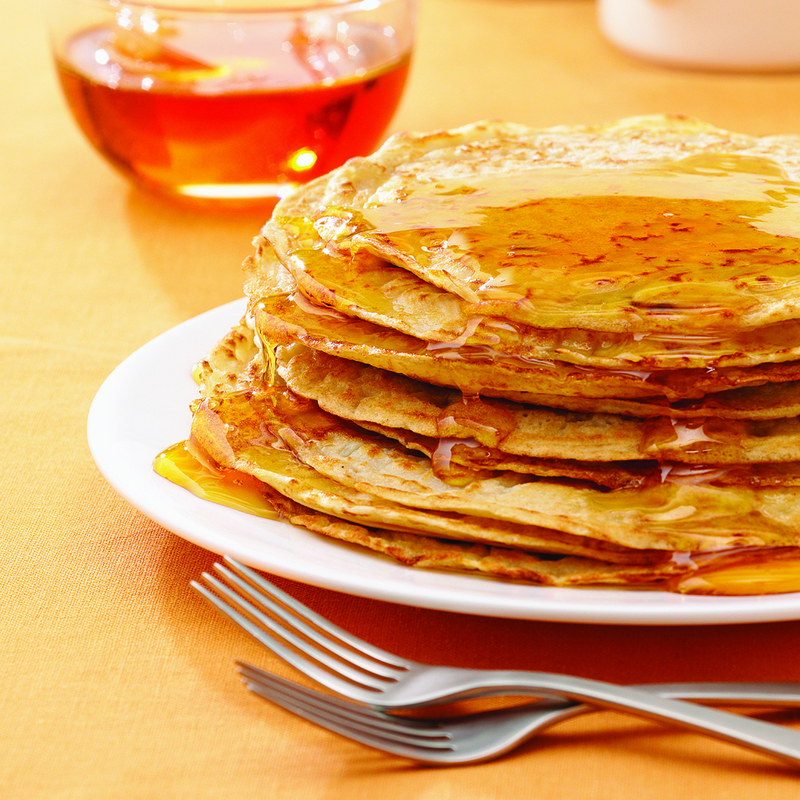 Wheat Flour, (Wheat Flour, Calcium Carbonate, Iron, Niacin, Thiamin), Whey Powder (Milk), Lactose (Milk), skimmed Milk Powder, Salt. 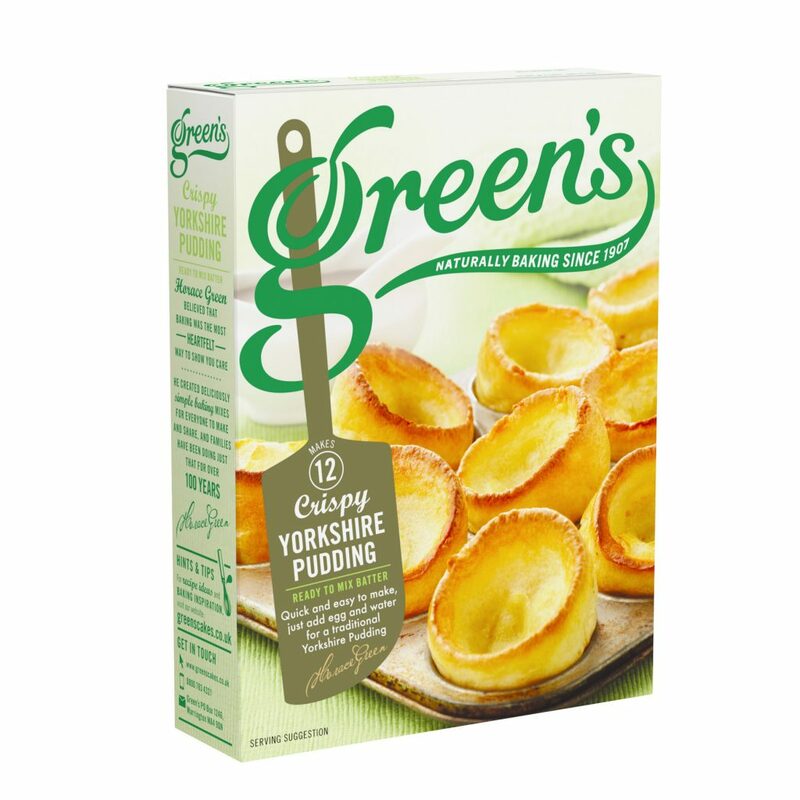 This information is based on the product made up according to the preparation instructions using a medium-sized egg and 35mls of vegetable oil. 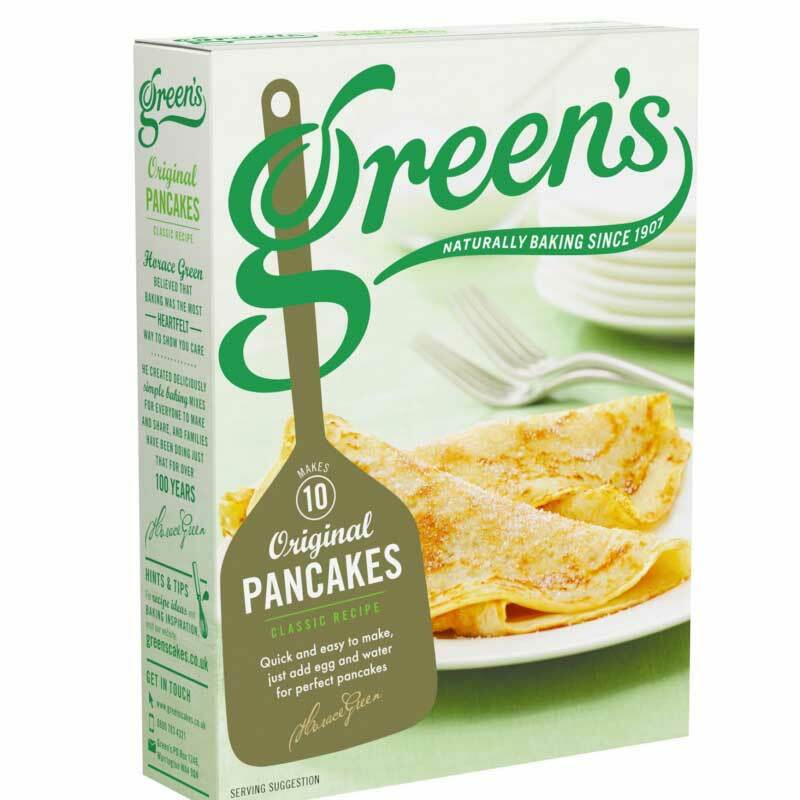 Per serving calculated as one pancake.